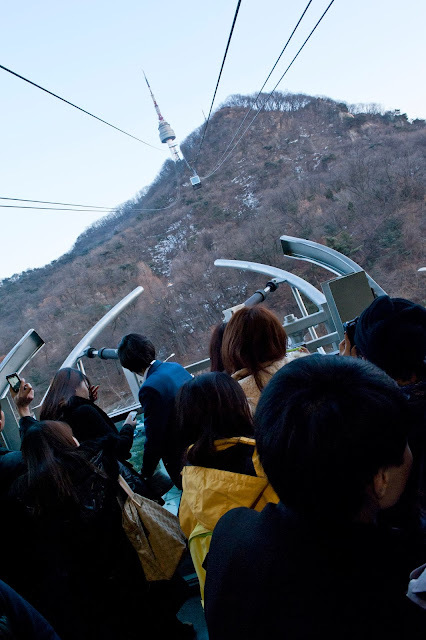 Namsan Tower is definitely a tourist attraction. 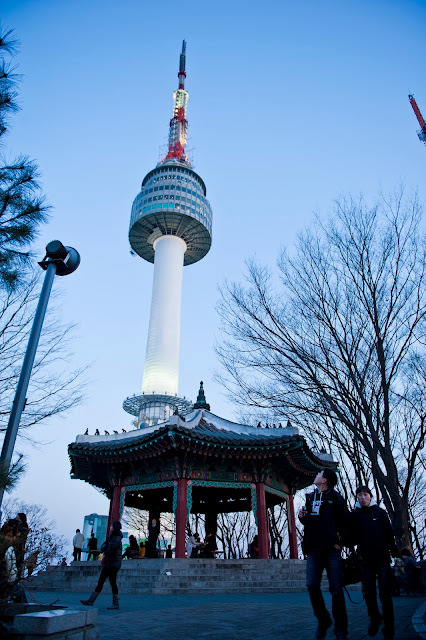 It has won more points since Korean Drama "Boys Over Flower" shot 1 of their dating scenes there. Pictures posted here are a mixture of photos which I've taken while visiting the tower in Springtime and Winter. I must say that it is still one of the best places to go on a date even though it is highly commercialized. 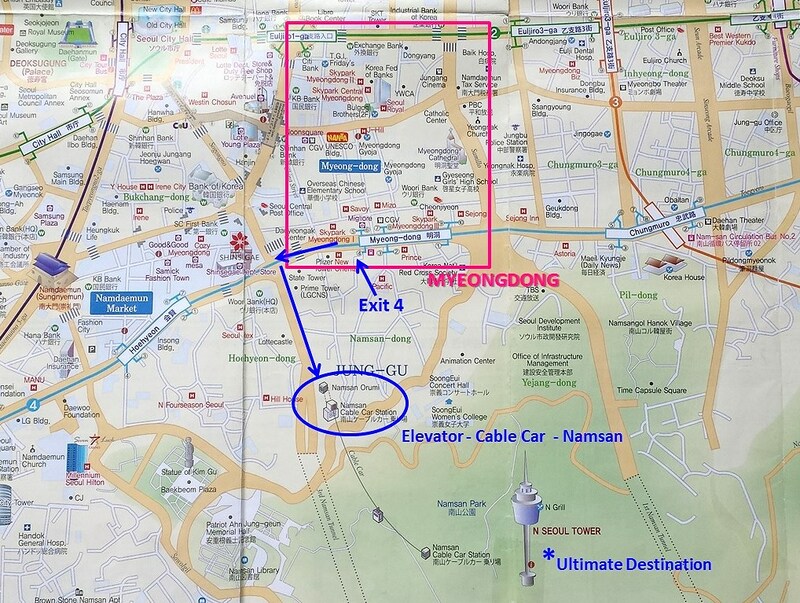 If you refer to the below map, you can easily make your way from Myeongdong station to Namsan Tower. 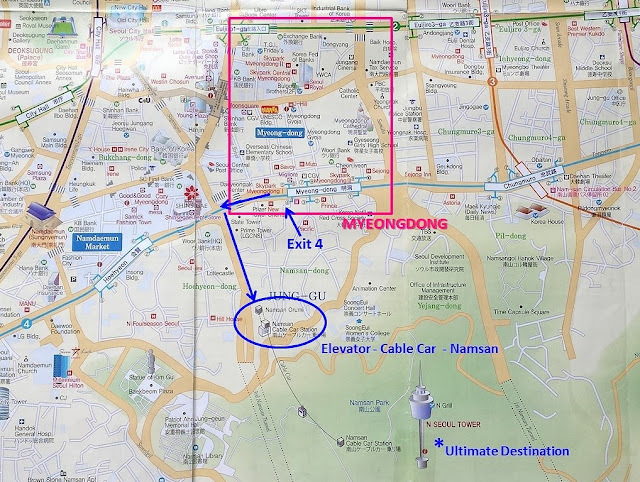 You will see that i have boxed up the area in pink (that's the Myeondong district). 3. Once you get there, you can choose to just hangout or take the elevator to the top of the tower. Consider this as a marker to spot the elevator. If time permits, do stop by this Ton Kat-Su dining place for food. It's got really good reviews. The popular Coffee machine from Boys over Flower.. These photos were taken from the previous trip (in spring time), hence the green scenery and bright sunlight. These are what you call the "love locks" where couples visiting lock promises, vows, messages etc to each other. It's totally over-populated! (Again) These photos were taken from the previous trip. This is the view if you were to ascend to the top of the tower.I would suggest you do that only in springtime or autumn when the skies are clear and trees are blooming. 4,600 km away from home sweet home! Back to winter-time! 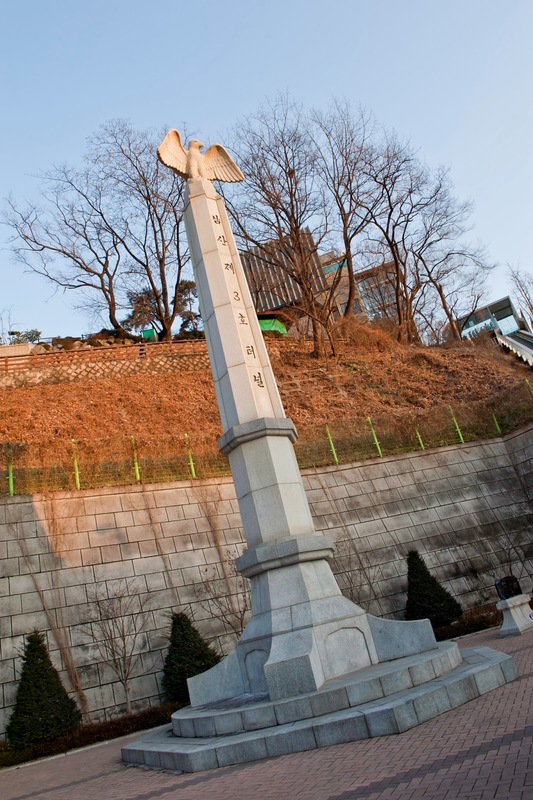 In fact, i mush prefer the night scenery of Namsan. It feels so romantic and enchanting. 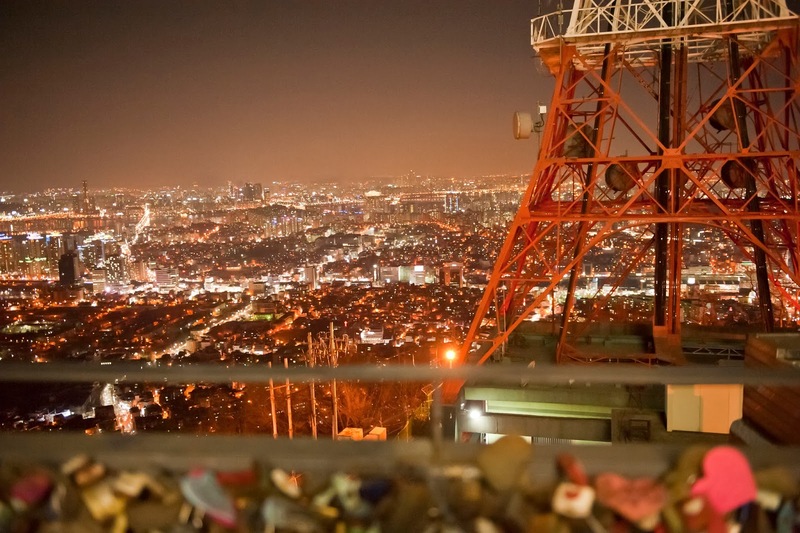 Though the weather was really cold - looking at the lighted city just gives me a super warm feeling. I shall finish this post with this awesome picture of the night scenery in Seoul, from Namsan, taken on one fateful night in Winter, Jan, 2011. Hi, Melissa! I was looking for Boys Over Flowers pictures when I happened to stumble on your blog (I used your BOF collage for my blog, but don't worry, I very much credited you!) 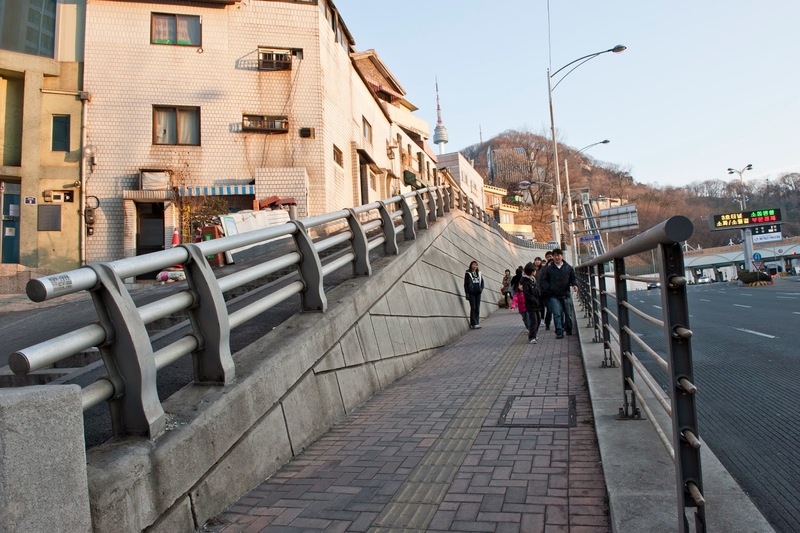 and I like your South Korea blogs! I am so jealous you get to stay for 6 months. 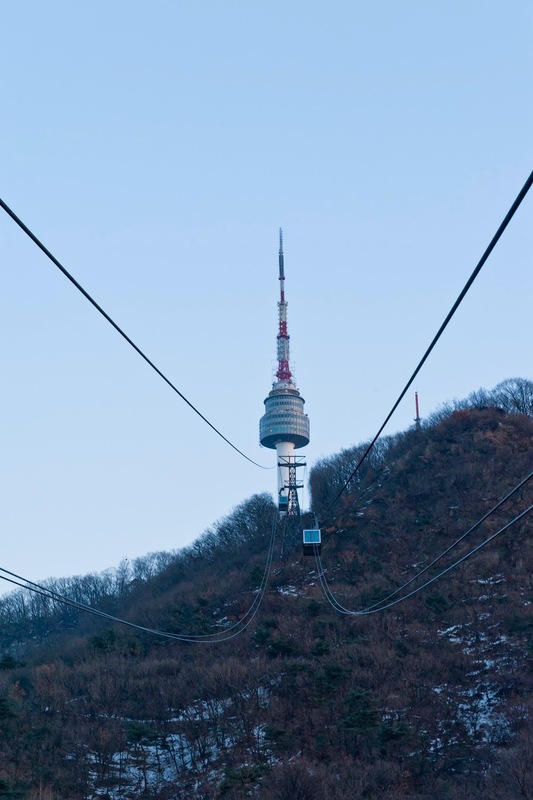 My family and I are planning to get back in Seoul, and I'm recommending them the places we have to see based from your blog entries. More power to you! Hello Angela! :) No worries at all! Please feel free to browse, share and just credit with a link back to this page. I am just blessed to be able to take time off work and do something like that - sometimes, it's all about acting on impulse and then bouncing through circumstances isn't it? Cheers! Thanks for leaving a comment in here. May I know where did you get all the Seoul maps? Lotte World - one final visit before I left! 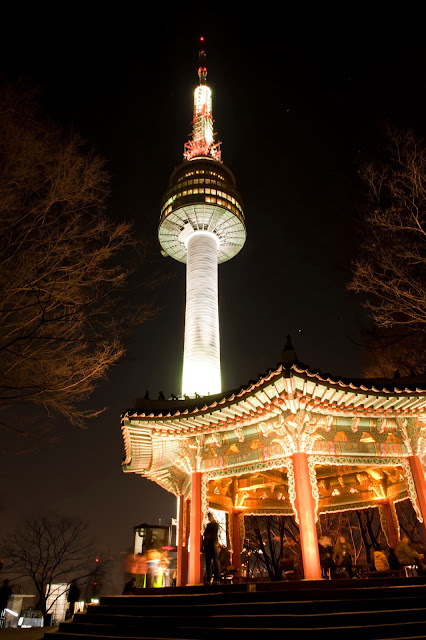 Exploring Gyeongbokgung with a pro camera man!